The complexities associated with following Seattle’s pho restaurants help to illustrate why it may take years to understand the true impacts of the minimum wage ordinance. That’s the suggestion Seattle Times multimedia editorial writer Thanh Tan wrote in these pages a year ago, four days after Seattle’s minimum wage increased from $9.47 to $11.00 per hour. Tan predicted that purveyors of the renowned Vietnamese noodle soup — small, often immigrant-owned businesses concentrated in South Seattle, but found throughout the city — would be among the first to reveal the impacts of higher labor costs, which have now increased to as much as $13 per hour. 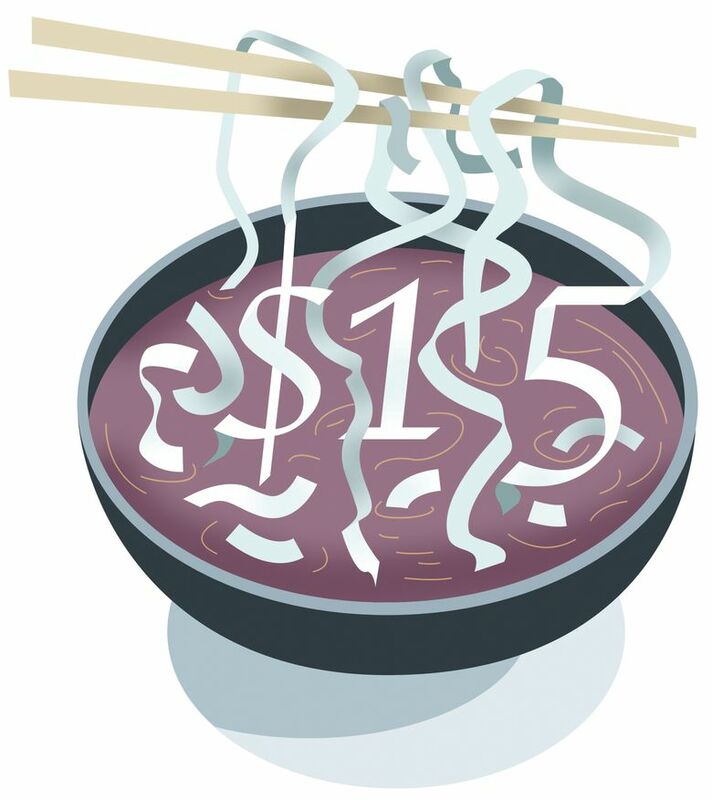 Although reports suggest that steaming bowls of noodles, broth and meat remain available in the Emerald City, the truth of the matter is that it will take longer than a year to tell whether Seattle’s minimum-wage increase will achieve its ultimate goal. Emma van Inwegen is a research analyst at the Evans School of Public Policy and Governance at the University of Washington. Jacob Vigdor is the Daniel J. Evans professor of public policy and governance at the Evans School and is study director for the evaluation of the Seattle minimum wage. The complexities associated with pho-following do, however, help to illustrate why it will take years to determine the true impacts of the minimum-wage ordinance. 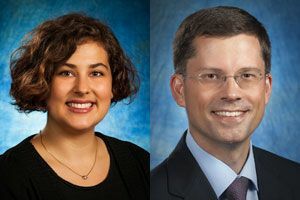 Immediately after the Seattle City Council passed the minimum-wage ordinance in June 2014, it resolved that the city “contract with academic researchers who have a proven track record of rigorous analysis of the impacts of minimum-wage laws to conduct an evaluation.” Our University of Washington-based investigator team won this contract. With the help of more than $3 million in additional grants from private foundations, we have been tracing the impacts of the minimum wage on Seattle-area businesses, workers and consumers ever since. Or is it? The restaurant industry follows a predictable seasonal pattern. It’s a notoriously unstable business with a high failure rate. The failures tend to be concentrated at the very end of the calendar year, while the openings are spread throughout. A 6 percent increase from April to December thus looks like business as usual. In 2014, with a constant minimum wage, the total number of restaurant and bar establishments in King County rose 7 percent from January to December, according to state sales-tax returns, only to drop again in early 2015. We cross-checked the Working Washington list with a more authoritative source, the Seattle Business License directory. Of the 66 pho restaurants they tabulated, only 53 had Seattle business licenses in 2015, and of those 10 have yet to renew them for 2016. Attempts to contact these businesses by phone indicate that five have truly shut down. Two of those five locations have since had new pho restaurants open in their place. But this still leaves our count at 50. Even if the pho industry has exhibited stasis or a modest decline rather than growth, one could argue this represents a victory for minimum-wage proponents, as catastrophic impacts did not materialize. But just as smoking does not lead instantaneously to lung cancer, higher-wage mandates do not necessarily lead immediately to business closure. Rather than throw in the towel, restaurant owners can try raising their prices, reducing portion sizes, ceasing operations during periods of slow business or reducing the number of employees working each shift. Tan’s original column focused on these types of adjustments, rather than the possibility of restaurants closing. A bit of crafty Internet research demonstrates these business-model tweaks. Since early 2014, the flagship Sodo location of Pho Cyclo Cafe has reduced its opening hours by more than 30 percent and prices for large and small soup bowls are up 12 percent. This anecdotal evidence corroborates our team’s broader analysis of Seattle prices, released in a January report. While prices in most sectors — grocery stores, gas stations, drugstores and other retail outlets — showed minimal changes last year, restaurant prices increased by an average of 7.7 percent. If Seattle’s pho providers — and other restaurateurs — survive by cutting back hours, charging more, serving smaller portions or skimping on service, that’s bad news for customers. If customers react by cutting back on their patronage, this could eventually harm workers and business owners alike. How long would these potential feedback loops take to play out? To this question, we might respond, “Pho-follower, follow thyself.” It is your own purchasing habits that will determine the ultimate impact, and habits change very slowly. To be fair, the hours we’ve spent pho-following pale in comparison to the time devoted to debunking blog posts and tweets from right-of-center think tanks, such as the American Enterprise Institute. These organizations have seized on notoriously unreliable data to promote the conclusion that the minimum wage has cost Seattle thousands of jobs already. While we’re not in a position to contradict that conclusion just yet, we can say definitively that it is too early to tell. We are currently in the process of analyzing detailed, authoritative data from the Employment Security Department, which will tell us not only what’s happened to jobs, but hours and total pay. The best data take time to collect and verify. Like a perfect bowl of soup cooked to order, we hope that our more detailed report — to be released in a few more months — will be worth the wait.